KENSINGTON TOURS - Privatne Zajazdy do Afriky, Ruska, Thajska, Turecka, Ciny, Ekvadoru, Noveho Zelandu od $2,485 !!! 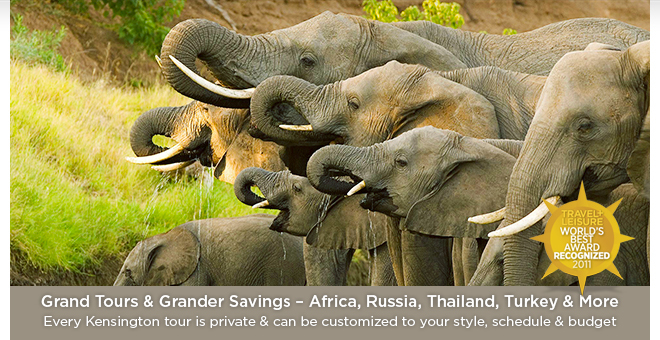 If you’re holding out for the luxury of South Africa at a real world price â€“ wait no longer! Complete with wild safaris, shark diving, horseback riding, winery tours & more, this exclusive 5* private guided tour delivers. A blockbuster adventure showcasing Cape Town, a 5-star eco-lodge in Hermanus & the exclusive wilds of Sabi Sands, it has everything you want & more. Go on a whale watching & shark diving cruise, sip your way through the vineyards of Overberg, play with the penguins of Betty's Bay, picnic at the meeting point of the Atlantic & Indian oceans & safari through Africa’s most elite game reserve. Complemented by Kensington's favorite 5* hotels, lodges & camps this is truly luxury for less! Land of the Tsars, revolutionaries, vodka & legends. Cruise the fabled river linking Moscow to St. Petersburg on the MS Volga Dream — winner of the prestigious National Geographic Traveler "Tours of a Lifetime" award. Outfitted to Tsarist-era luxury, this vessel features a plethora of activities, amenities & special events. Disembark for fascinating guided shore excursions of Yaroslavl, Goritsy, Kizhi & Mandrogi. 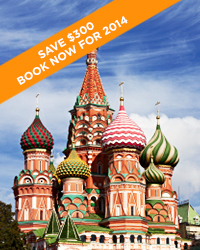 Travel through time as you experience all the historic highlights of Moscow & St. Petersburg with the luxury of private guide pre & post cruise. This elegant adventure features far too many attractions & extras to list! Follow in the footsteps of ancient Ottomans, Sultans, Trojans & Kings as you discover the mystical wonders of Turkey. From fairy-tale chimneys, sundrenched beaches & the legacies of bygone ages, to colorful souks, delectable cuisine & welcoming people, Turkey is a feast for the eyes, stomach & soul. Unveil UNESCO legacies around every bend — harams, cathedrals, underground cisterns, holy relics, mosques, churches & palaces. With the luxury of private guide & a customized itinerary, this is Turkey at its finest. 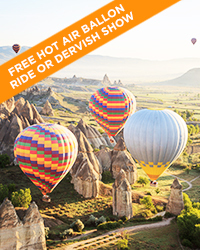 Book any Turkey itinerary by April 30th for travel in 2014 & receive a free hot air balloon ride or whirling dervish show. 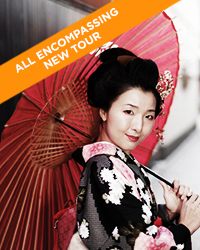 Reminiscent of the grand tour of old, this exotic new journey puts the best of Japan, China, Vietnam, Cambodia, Thailand, Malaysia & Singapore at your fingertips! A whole lot of adventure mixed with intoxicating oriental flair, visit 7 countries in just 1 trip, all worry-free with expert private local guides. Walk the Great Wall, meet the Terracotta Army, unveil the secrets of the Geishas, discover the lost temples of Angkor Wat, cruise otherworldly Halong Bay, enjoy culinary lessons, sunbathe on the beach & more. 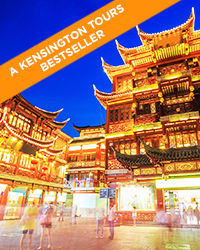 With far too many highlights to list, if you’ve yet to explore Asia — this customizable adventure should be it! 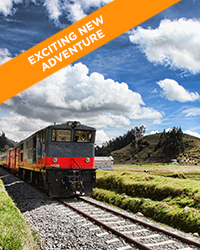 Zigzag your way through Ecuador as volcanoes, snow-capped mountains, lush valleys & equatorial sun fly past your train on this stylish journey by rail. A great Galapagos extension or standalone trip, make your way from Quito to Guayaquil, stopping for adventures along the way. With one foot in the Northern Hemisphere & the other in the Southern Hemisphere, experience what it's like to stand on Earth's center. Travel high into the Andes spotting deer, wolves, bears & spectacular condors in the wild. Watch locals perform traditional dances, explore a rose plantation, search for treasures at an indigenous market, visit historic churches, mingle with a Shuar community & more. Stylish & smart, this exotic adventure is a fabulous way to experience China's key highlights led by private guide without breaking the bank. Delve into its imperial past & the city that symbolizes its future as you tour the bustling capital of Beijing, the ancient relics of Xi’an & vibrant Shanghai. Behold Tiananmen Square, The Forbidden City, legendary Great Wall, Terracotta Warriors, Xi’an's city wall by bike, Yu Gardens, the historic buildings of Bund & more. 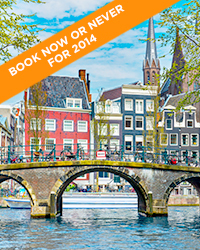 Featuring private guide, shopping in colorful markets, charming hotels, a scenic train ride & private transfers. Prepare to lose yourself in the wonders of China. From endless rows of tulips, Chateau wines, artisanal cheeses & sunset toasts, to the van Gogh Museum, Ruben’s house, storybook windmills & bicycle sojourns, this river cruise & tour through Holland & Belgium is truly exquisite. Smell & taste your way through the fabled wonders of Amsterdam, Edam, Arnhem, Antwerp, Ghent, Bruges, Zeeland, Willemstad, Kinderdijk & the world`s largest garden, Keukenhof. Enjoy escorted excursions by bike, foot or coach to ancient cathedrals, sobering reminders of WWII, fairy-tale castles & museums. Enjoy delectable regional cuisine, private transfers, pre/post hotels & much more. Journey off the beaten path to a world where sidewalks end & mountains scrape the clouds, ancient forests stretch as far as the eye can see & glaciers shimmer in the sunlight. This inspiring adventure takes you into the breathtaking natural wilds of New Zealand from the North Island to the South, led by private guide. Visit Auckland, Rotorua, Queenstown & Christchurch. 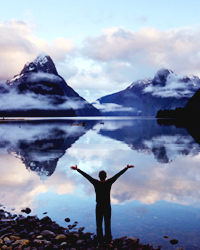 Sail across pristine waters on a yacht, explore famed glowworm caves, discover locations from Lord of the Rings, rejuvenate in spas, feast on a sumptuous banquet, behold the spectacular Milford Sound, trek glistening glaciers & so much more. Step off the all-inclusive path & delve into the authentic Mexico, a riveting land of emerald jungles, hypnotic mariachi music & the oldest cities in all of the Americas. Discover the magic of Mexico’s Aztec legacies & colonial heritage as you explore Patzcuaro, Guadalajara, Guanajuato, San Miguel de Allende & Queretaro with private guide while resting at 5* boutique hotels. Voyage through time at UNESCO sites, visit a museum of mummies & unveil the secret of tequila from leaf to bottle. Voyage to the epicenter of ancient Mayan spirituality at the pyramids of Tikal, receive a blessing from a shaman & sleep encircled by volcanoes on this adventure through the “Land of Eternal Springs.” Discover Antigua, Lake Atitlan, Flores & Guatemala City. Get a taste for local culture as you visit a coffee plantation, bustling markets, naïf painters & a yummy bakery. Complete with private local guide, driver, fantastic accommodations (1 of which is a Francis Ford Coppola hotel) & more. This was a trip of a life time for me and I was never disappointed. Sylvia listened to me and gave me exactly what I wanted in the way of a photo Safari, as well as full tour of Cape Town and the wine country. I just cannot say enough about my experience with Kensington Tours, it was fabulous! Kensington Tours, 2207 Concord Pike, # 645, Wilmington, DE 19803 USA. All prices are USD per person based on double occupancy, subject to availability, dates travelled & applicable to new bookings only. Other conditions may apply, please refer to website. Copyright © 2014 Kensington Tours.